You might not see it like that but your interior doors talk to you for almost one third of the day. That is why you should not underestimate the selection of your doors. 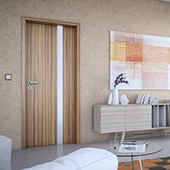 Interior doors are the open arms of your apartment or house; they reflect your personality and your style. In SAPELI, we are aware of this, so our offer really includes a door for everybody. From a rural style suitable for country residences or cottages through the standard conception of current to ultramodern style and bold doors as part of original interiors. ...are offered in 18 model lines, more than 300 models and hundreds of decors? ...decorate apartments, offices and hotels in 20 countries around the world? 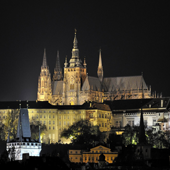 ...are in Prague Castle too? ...will give you joy every day? Is it possible to have customized doors from SAPELI? Yes, we manufacture all doors customized according to the clients' wish. How should I choose my new doors? 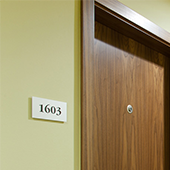 There are really plenty of selecting criteria, from your own taste and idea of design through the consideration of appropriateness of different door types for your interior to utility properties of doors which you should not neglect. We will completely leave it to you to decide which model and surface finish will become your favourite, however, you can be inspired by design trends or consultation with a designer. The next thing you should consider is the type of door opening so that the doors do not cause an obstruction in your interior. It is also important to consider everything that you expect from doors - a bedroom door should have soundproof properties, a loft door or basement door should have a special insulation structure (clima) to properly divide the places with different temperature, etc. 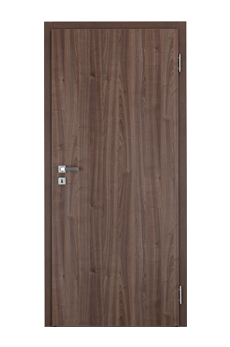 SAPELI doors offer plenty of options and properties which you can imprint in them. Our specialists in SAPELI partner SHOPs will help you so that you keep all of these things on your mind and don't forget anything. Is it also possible to refurbish old doors and do you do that? If you need to adjust or otherwise service SAPELI doors used for a long period, ask our dealers in the SAPELI partner shops.